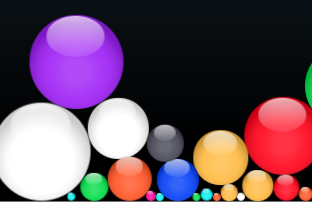 Bouncy Balls is a neat little site I just found out about from the great blog, Teachbytes. This is a fun site that uses the computer's microphone to monitor sound levels. The greater the sound the more the balls bounce around the screen. This could be a great and fun visual way to monitor classroom noise levels and show students that they are being to loud. I recommend checking out Bouncy Balls by clicking here!! !